Ages 12-19 | Space is limited to 24 Participants | This camp ends in a Final Showcase for family and industry professionals. July Dates: Monday – Friday, July 23 – July 27, 9 a.m. – 5 p.m.
SOLD OUT! Contact us for waitlist details! 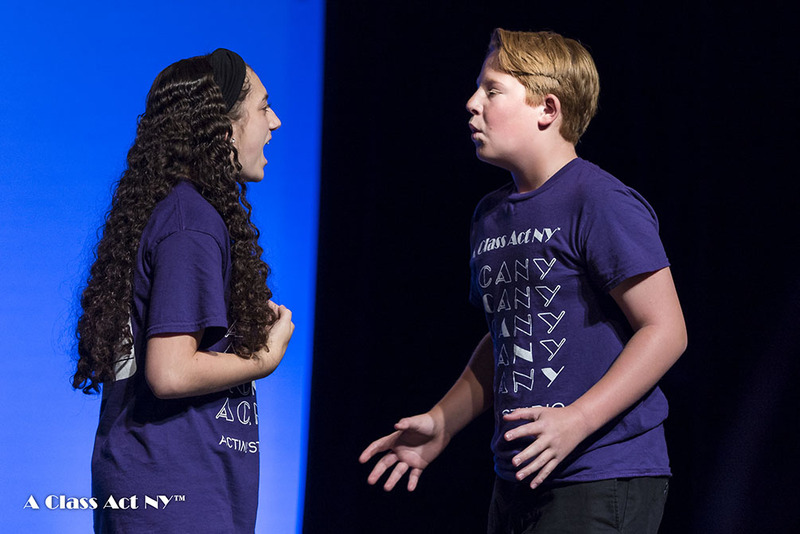 A Class Act NY’s Pre-Professional Program is for a select group of young artists who are ready for the challenge of growing their theatre performance skills and are looking forward to exploring more advanced work. Pre-Professional Program faculty include Broadway Theatre Actors and Industry Professionals interested in sharing methods and insights with those seeking to expand their craft and explore creative expression. The performance is designed to showcase the skills and challenging material students have mastered throughout the week. Broadway Matinee and talkback: On Wednesday, our PPP participants will be treated to a Broadway Matinee performance of WICKED and a talkback with actors after the show! Off-Broadway Final Showcase: Pre-Professional Program culminates in a final showcase in the Triad Theatre, an off-Broadway theatre, for loved ones and industry guests! Many of our previous participants met their agents through us and are now working actors! Many have booked Broadway Shows, National Tours, TV Series, Films and more! Price includes three complimentary seats to the Final Showcase, a ticket to the Broadway matinee and talk back and an A Class Act NY camp t-shirt!